For Cinque Stelle’s captain, Eduardo Herrera, playing against Sporting Montreal is unlike any regular season game. It’s like playing in a final. 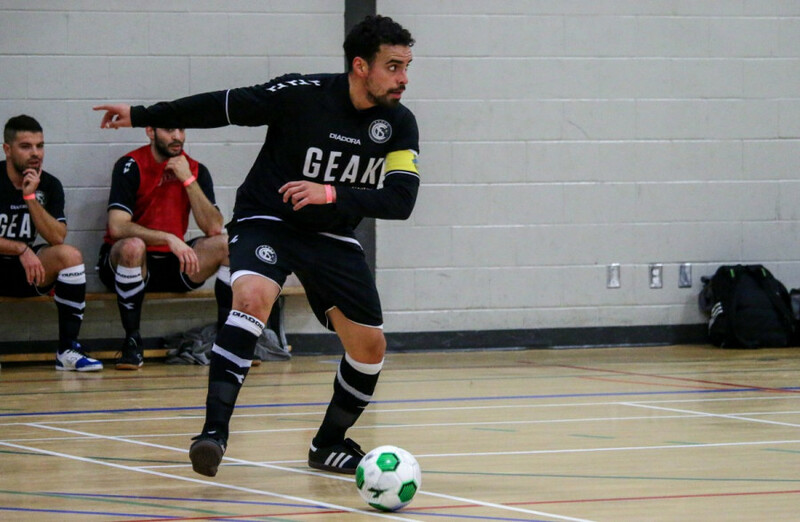 The two clubs have shared the field on several occasions in the Première Ligue de Futsal du Québec since the league’s inaugural 2014-2015 season. Since then, the two have developed an intense rivalry that extends beyond the playing field, said Herrera. Cinque Stelle and Sporting Montreal will lock horns on Saturday, in an official PLFQ match, at Centre Pierre Charbonneau as an opener for former Montreal Impact player Patrice Bernier’s charity match. The fundraiser, Patrice Bernier and His Friends, is an all-star futsal game with the proceeds going to local Montreal community centre, Maison D’Haiti. Sporting Montreal president Enrique Benevides has seen firsthand the intensity the rivalry brings to the players. “When we talk about Cinque Stelle, we have to win,” he said. What highlights the rivalry is the change of allegiances that’s happened in the background. Over the past two years, four players from Cinque Stelle have switched over to Sporting Montreal. Adair Chavez, Oussama Laguel, Brandon Nerio and, most recently, goalkeeper Adam Ghemari have all made the switch to Sporting Montreal. 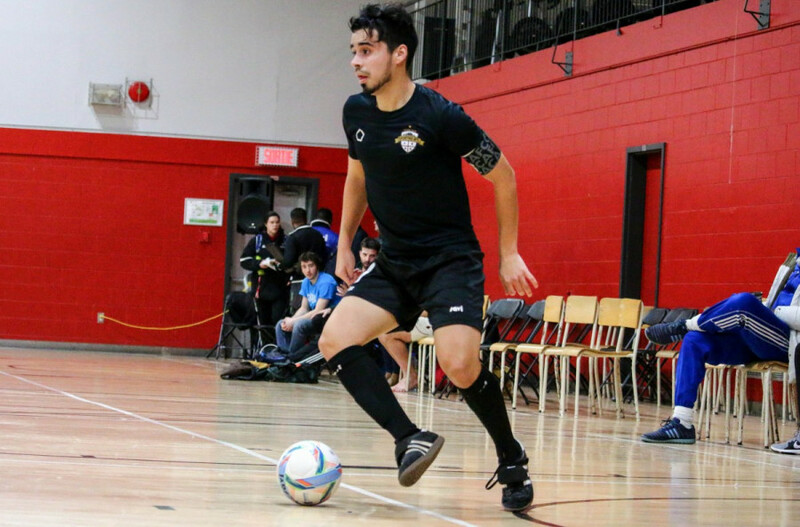 From winning the Canadian Championship last April, to competing in the CONCACAF Futsal Club Championship this past summer, Sporting Montreal captain Shaquille Michaud, credits the team’s success, as well as friendships off the field, as factors in attracting and maintaining their players. Since the futsal community in the greater Montreal is rather small, players tend to know each other on the court as well as off of it. “Everybody knows each other, everybody has been playing with each other somewhere,” said Michaud. This was the case for Chavez and Michaud. They met when they were 14-years-old, having previously played together for Club de Soccer Penellinios in Parc-Extension. “It’s not complicated [to switch] when you have these kinds of affinities with someone,” Michaud said. Ghemari decided to opt out of Cinque Stelle because his bond to the team began to wither after, he said, the team mishandled his injury and playing time. After his rapport with the team dwindled, he signed with Sporting Montreal. “[Cinque Stelle] knew I was signing. I didn’t have to explain myself, they knew already,” he said. As for pressure? Ghemari said he feels none of that when he faces his former team. While they lost several players to Sporting, this hasn’t hampered Cinque Stelle’s performance on the field. For Herrera, it’s not a big deal. Last season saw them go undefeated against their rivals, including a quarter-final win in last year’s Coupe du Québec. For their part, Sporting were undefeated in the second half of last season. “We were very dominant,” Michaud said. According the captain, Sporting haven’t felt pressure against an opponent in a long time. “Cinque Stelle did a very good job to control their emotions and control the game and they brought the experience and this is what we had to learn,” he said. Frustration led to Sporting Montreal’s exit from the Coupe du Québec tournament, which Cinque Stelle eventually went on to win. Not only does the game pin two of the teams best in the league, but it’s a chance to put family bonds aside. Herrera will also face off against his younger brother, Fernando. The two previously played with each other on the Université de Montréal Carabins men’s soccer team, but went their separate ways when Fernando chose to join Sporting Montreal. Fernando and Eduardo share a humorous relationship when it comes to competing against each other. They often engage in pre-match banter while also not letting disagreements on the field extend outside of it. There’s been times when they’ve driven to games together. “We definitely tease each other about it and we say ‘Ah, you’re going to win this one,’ or ‘I’m going to beat you this time’,” said Fernando. With the match around the corner, both teams will look to get a result against one and other. 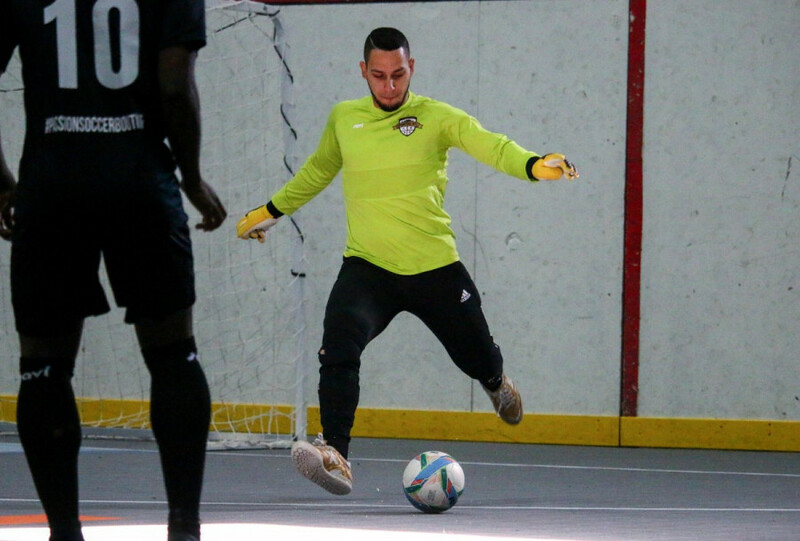 Both teams possess different styles of playing when they step onto the futsal court. Cinque Stelle play a defensive game and wait for the ball while Sporting Montreal prefer to keep possession of it. Michaud claims the game will be decided on the “little details”. Anything but a win for either side will certainly be a disappointment. Sporting Montreal currently sit in second place behind Futsal Club Sparte, while Cinque Stelle sit in fifth place. The match will also serve as a potential milestone occasion for Sporting Montreal’s Berling Jean-Gilles, who is in search of his 100th career PLFQ goal, as he currently sits at 99.